As Fort Worth’s de facto town square, this large downtown development is home to some of the city’s most notable annual events, including the Christmastime Parade of Lights and the Main Street Arts Festival. 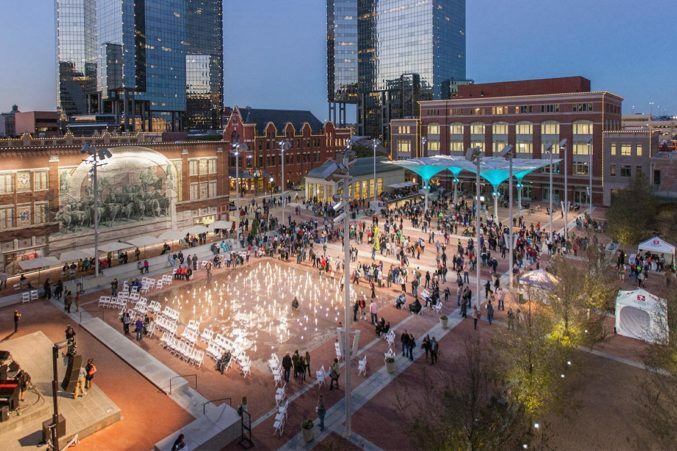 There’s plenty to do year-round, however: most of Sundance Square’s 35 blocks are filled with restaurants and shops, as well as some of Fort Worth’s best museums, art galleries, theaters, and performing arts venues. Sundance Square is remarkably easy on the eyes (there’s a reason national television broadcasts visiting North Texas regularly choose to film here) and it wouldn’t be hard to spend a full day taking in all the area has to offer.